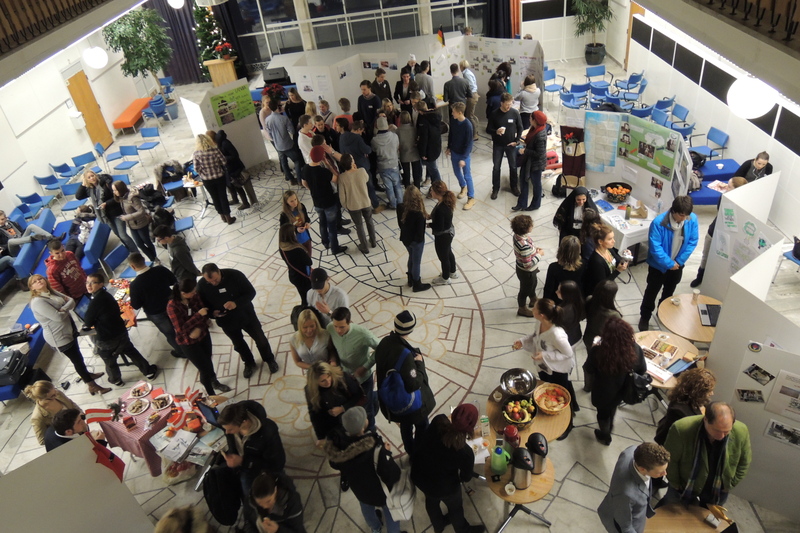 The CLIMES project finished with a wonderful two-day event in Stockholm, where all partner schools and the two award winning teams met in the hosting school, the Värmdö Gymnasium. The event was a very good ending to a project that has been so rich in experiences and great meetings. It all started with Santa Lucia on Thursday morning… a very emotional moment and a promising start to our event. The CLIMES guests were all overwhelmed by the beautiful voices of the Santa Lucia singers and their songs. The Santa Lucia ceremony was followed by the award ceremony, in which the winning teams were awarded the CLIMES Award. 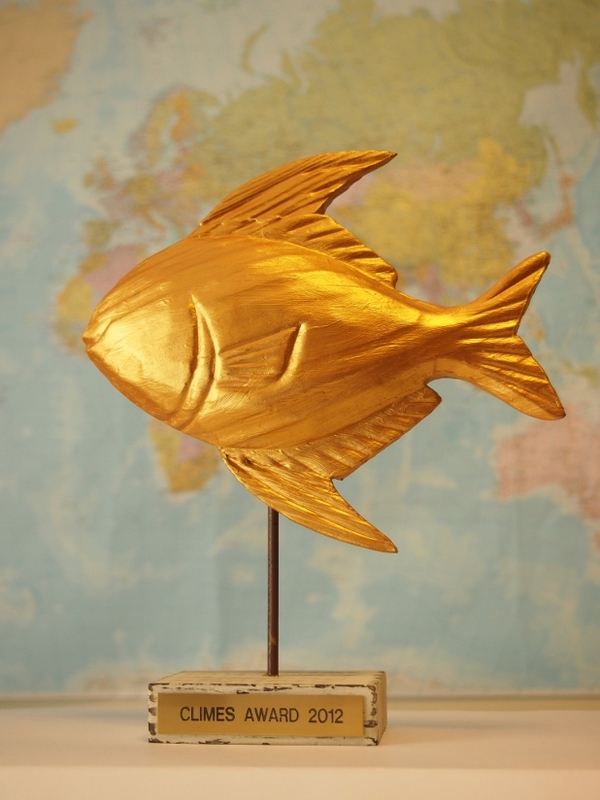 And this is the “trophy” that we had the pleasure to award to the Turkish and the Latvian winning team. Another hightlight was the exhibition, in which all schools showed their activities to make their schools more climate-friendly. To stress that again – it was a truly wonderful end to a very good and enriching project. All schools are ready to continue the collabration and get involved in a new project that will be submitted end of January 2013 under the LLP / Comenius. This entry was posted in CLIMES and tagged Abschluss, Climes, Climes Award, transnational by Sabine Wiemann. Bookmark the permalink.